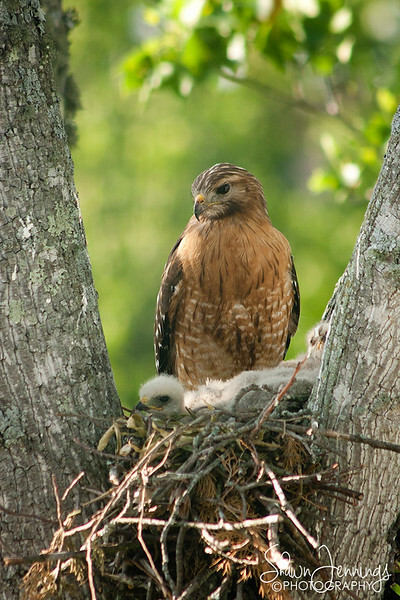 Red Shoulder Hawks Nesting at work. 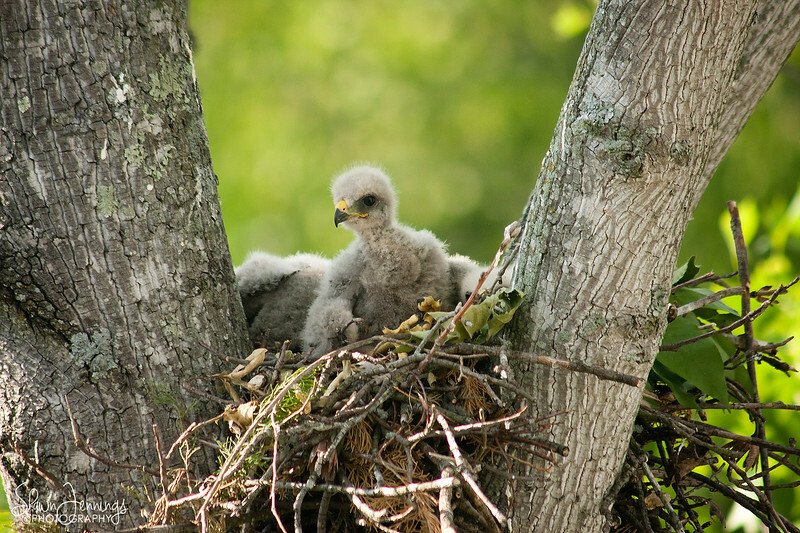 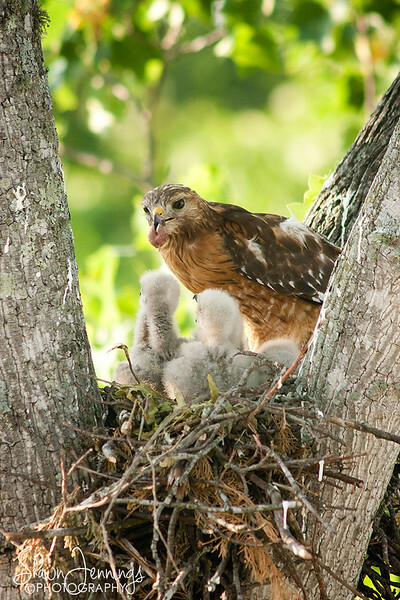 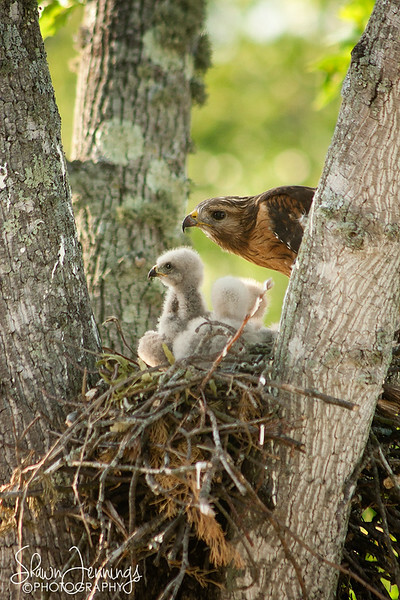 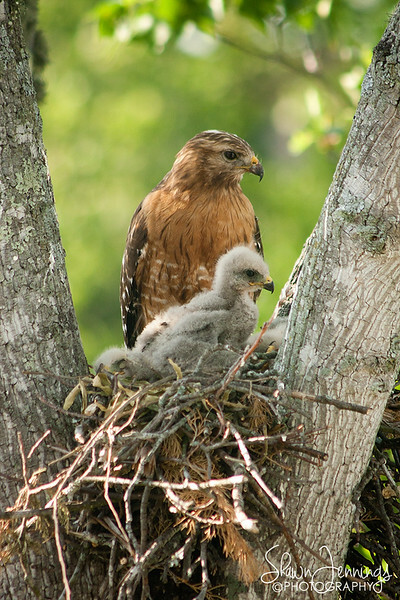 These images are arranged from oldest to newest as the hawks progress in their growth. 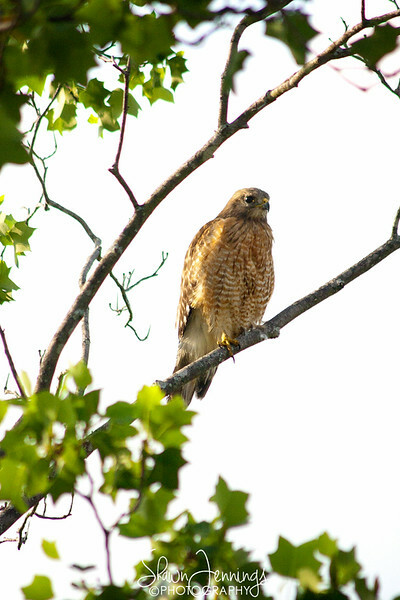 The most recent images can be seen by scrolling down. 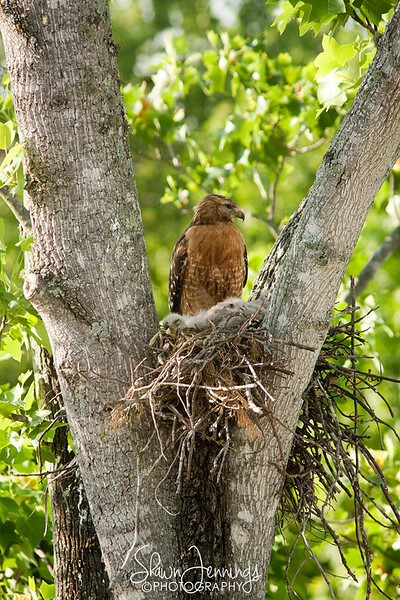 It's that time of year again and the fourth year the hawks have nested outside the window at work. 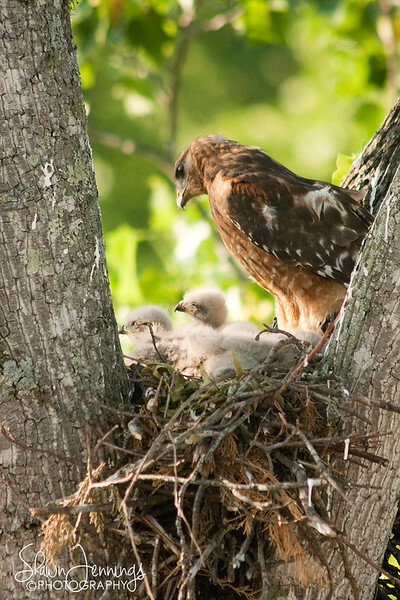 I don't know if it's the same hawks that nest each year or possibly the young ones from a previous year. 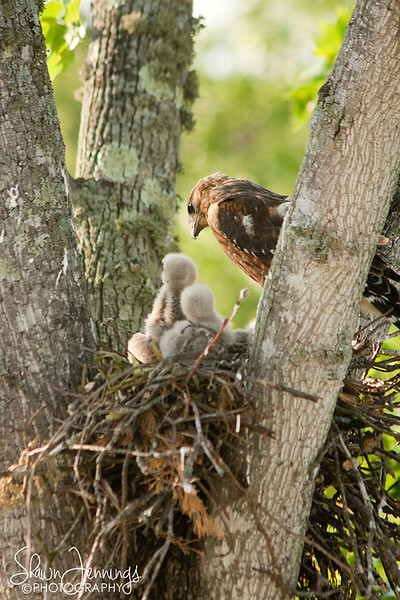 Either way, there are four baby hawks again this year. 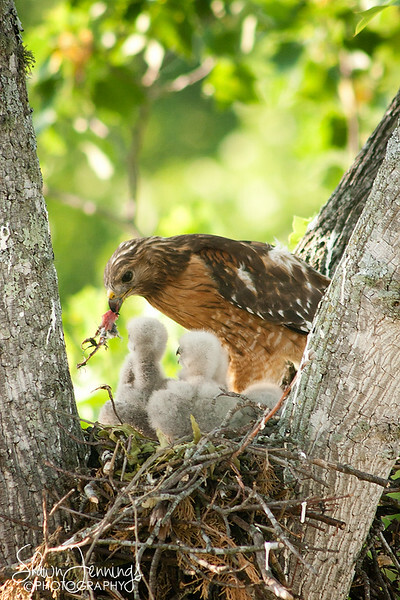 It's a bird eat bird world. 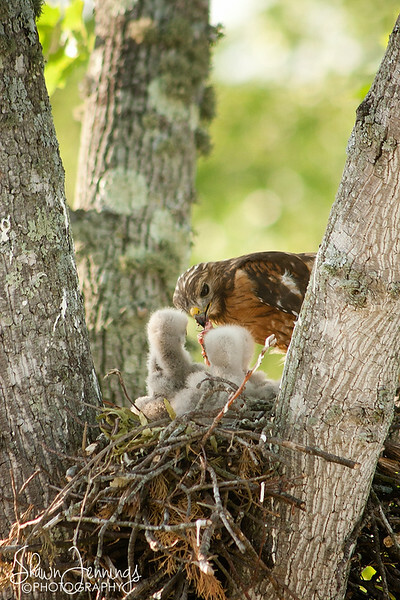 Mama hawk is feeding the baby hawks another smaller bird for supper in this image. 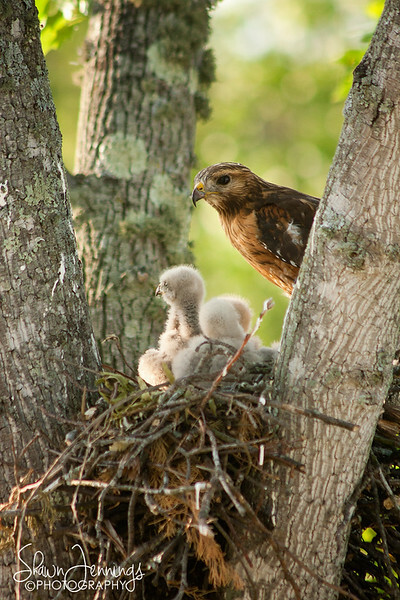 Mama hawk keeps a constant watch as the babies relax or sleep. 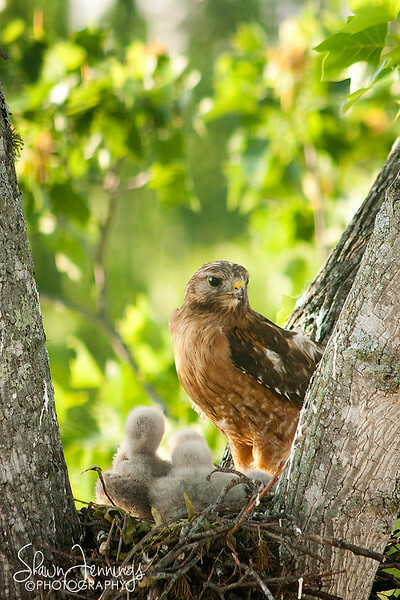 They have no idea the dangers that await them without her watchful eye. 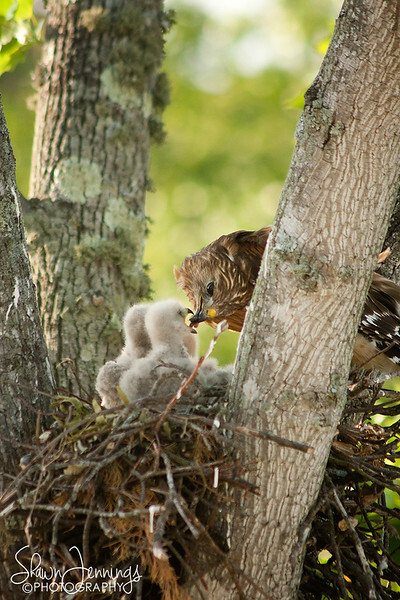 A couple days ago Mama hawk looked a little rough. 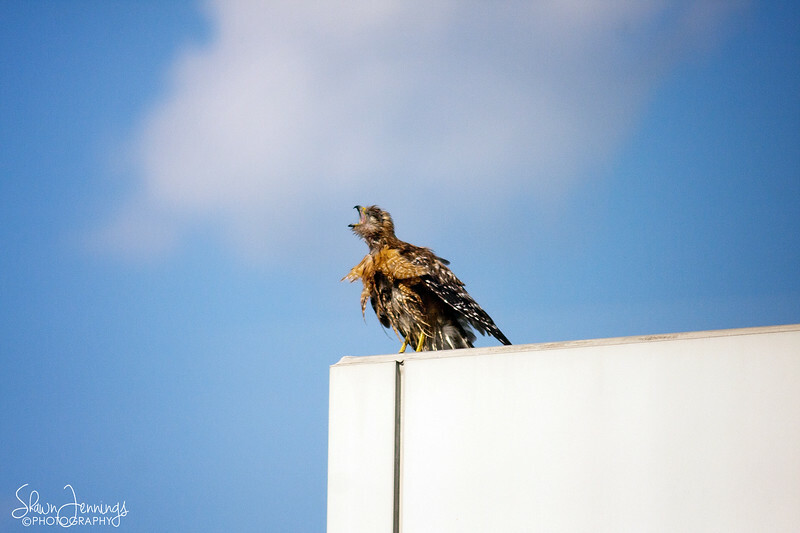 I don't know what happened to her, but she looked like she might have been beat up a little bit. 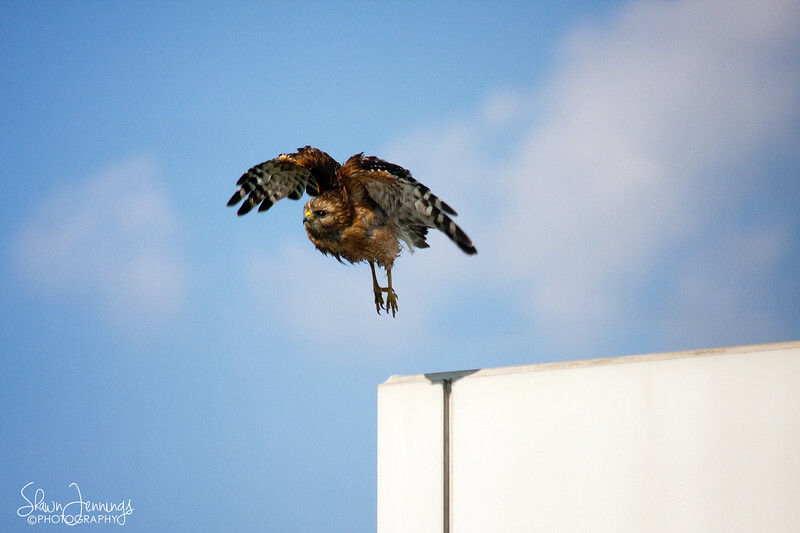 After a few minutes of sitting on the corner of the building a black crow flew by and mama hawk was after it to keep it away from the nest. 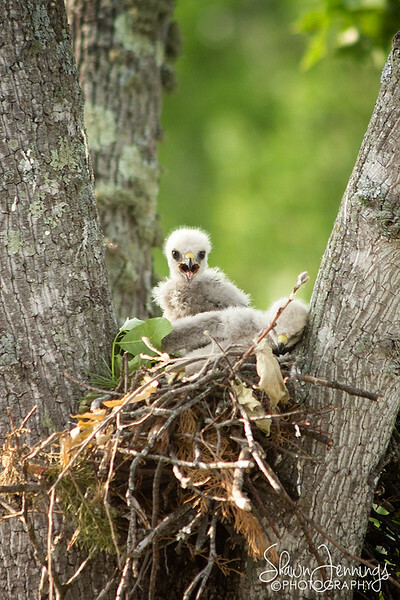 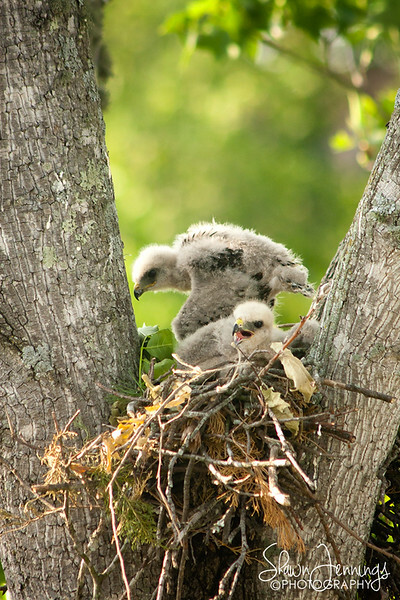 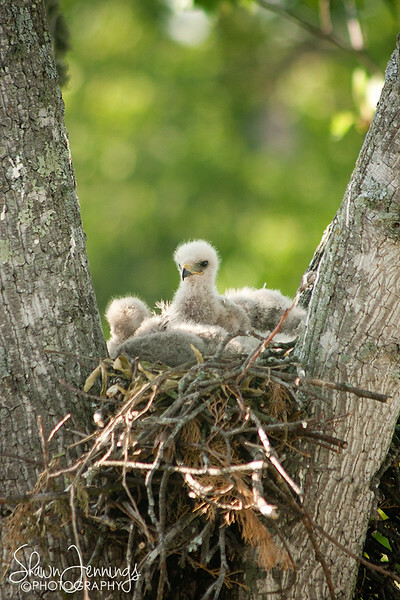 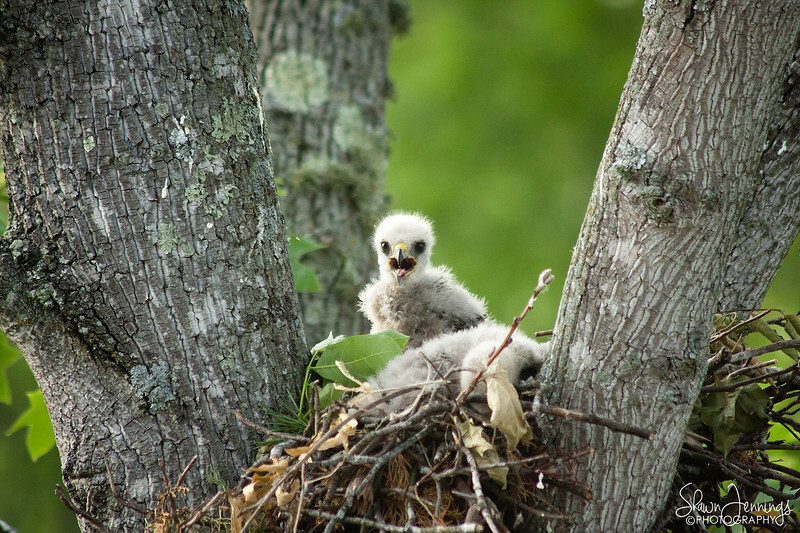 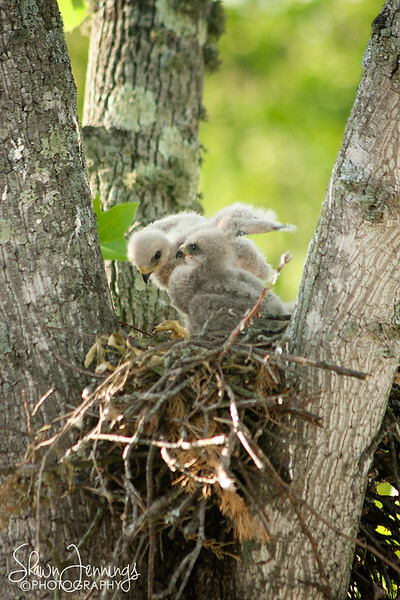 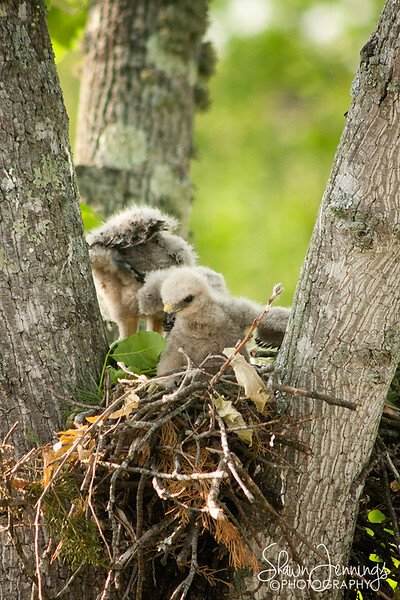 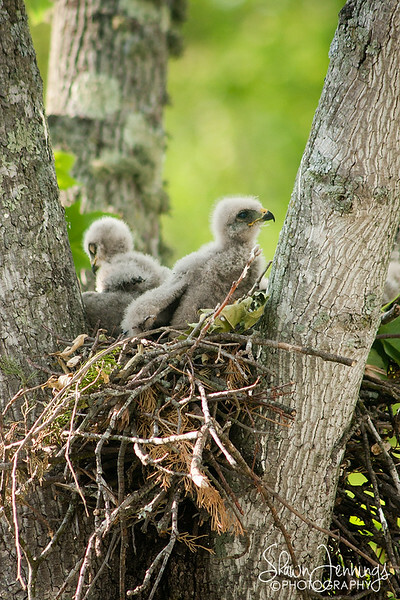 Today when we returned to work there were only two babies left in the nest with the parents nearby. 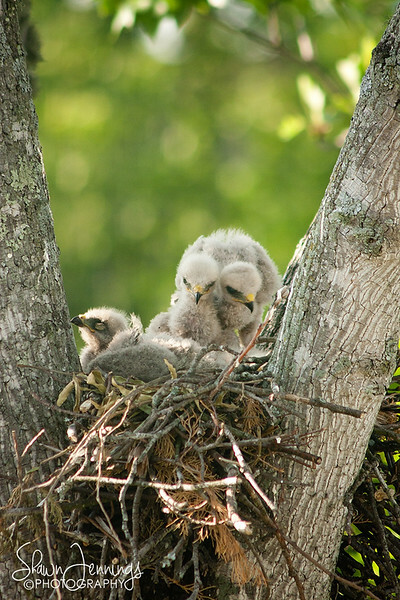 Got to work this morning and went to check on the baby hawks. 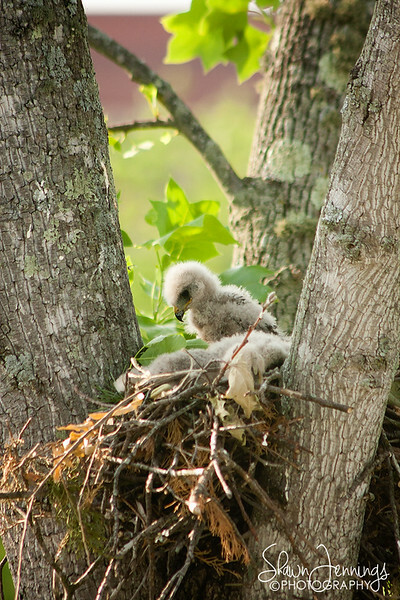 I didn't see any heads bobbing around in the nest, so I went up on the roof with one of the building maintenance guys to get a look down into the nest. 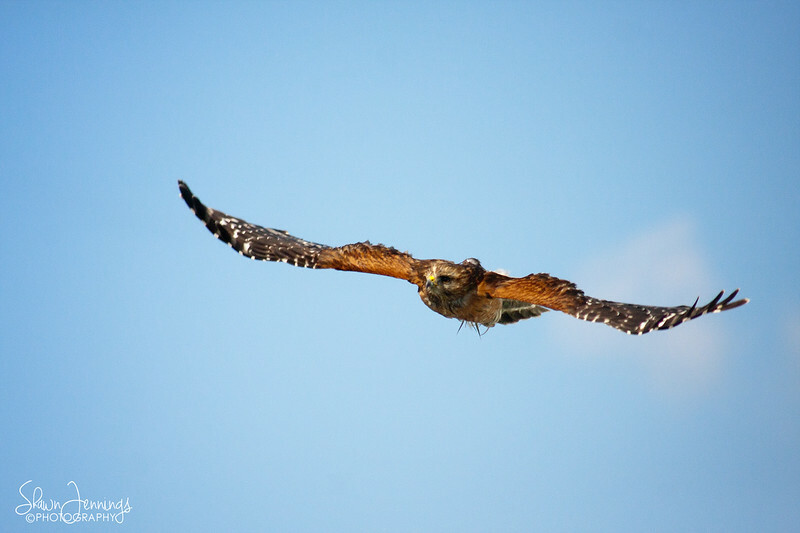 This is what I saw. 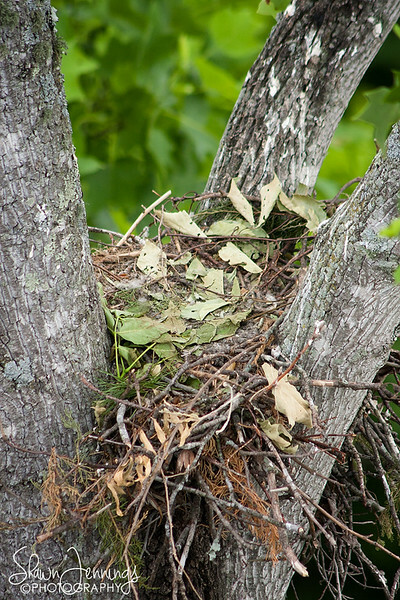 An empty nest. 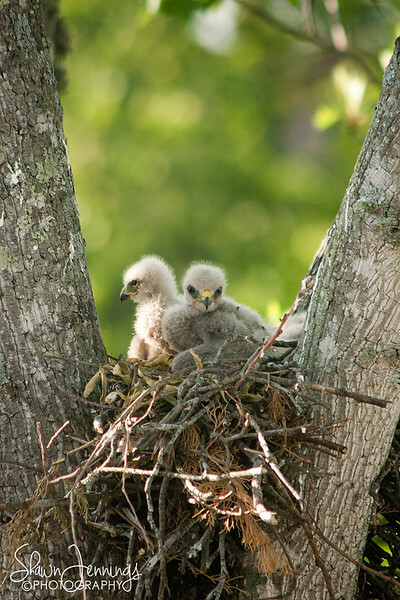 Some time between 6:30 last night and this morning they were removed from the nest. 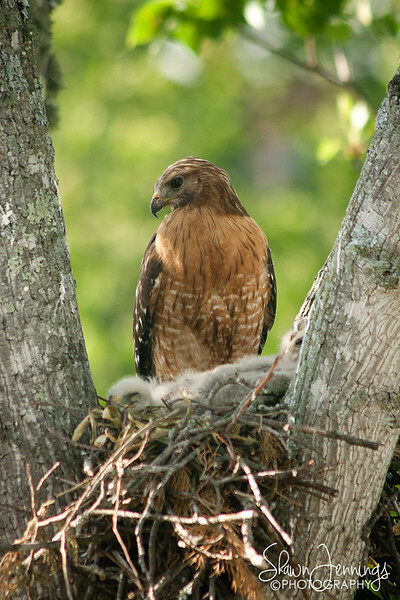 My guess is another predator bird, like an owl or hawk, invaded the nest. 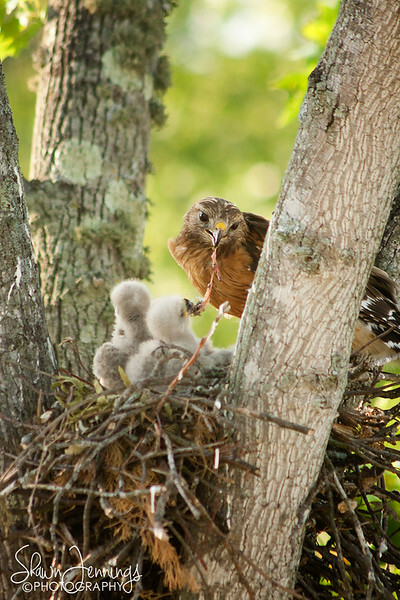 It's sad to see that happen, but it is the cycle of life out there in nature.